We help small business owners and entrepreneurs with administrative, technical, and social media tasks that they cannot do, don’t want to do, or don’t have time to do! Our administrative and business services allow small business owners to get the help they need so they concentrate on revenue generating activities. Creating speaker notes & audience handouts. I recentlly reached out to christine when i found myself feeling stuck and uninspired about my work. I asked Christine do some creative work for me and she provided so much more then the physical work I asked for. She gave me my insperation and excitement back. Through her help and expertise she reminded me why I started in the first place. she showed me what is possible. Christine provides support in ways you didnt realize you needed and the ways you thought you did. As I am busy with 2 small businesses, I needed something that would help schedule posts on FB and Instagram ahead of time. Christine had alot of great tips for my businesses, and explained how this software works and we did hands-on examples. Christine is very knowledgeable, professional, has patience, and makes sure we understand each aspect before going on to the next. I am looking forward to participating in other trainings that Christine has scheduled. Just took a class with Christine and her energy is contagious. Her content was bang on for what I needed. I would highly recommend checking her courses out. Christine Hull knows her craft! 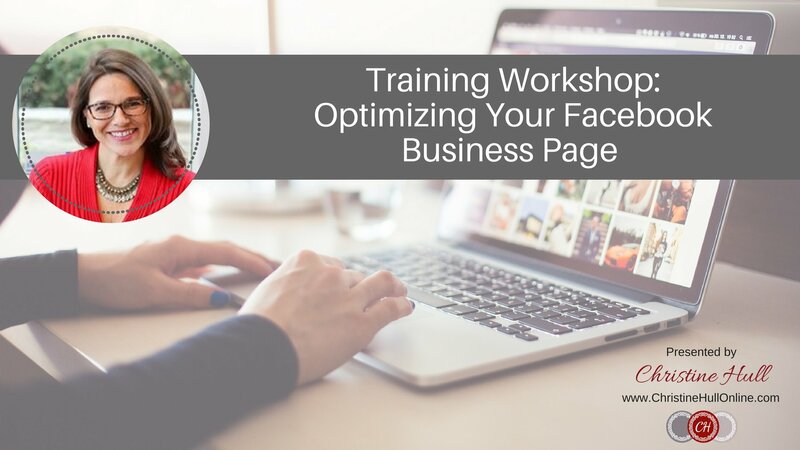 I attended her workshop on optimizing a business Facebook page, and I was amazed by the amount of valuable information provided during that training session. Christine also provided an extremely useful and well-prepared handout that allowed her students to bring home notes about all the resources explored. Thank you, Christine, for such a productive morning and lovely event. I am looking forward to your next course! I am so glad I attended Christine's Cinchshare training. The training was fun and extremely informative and Christine is passionate and motivating. She gave me the tools to be more efficient with my time on social media - as a small business owner with a full-time job, this is key! Thank you Christine!!! Christine is very hands on and makes sure that we "get it"! Learning is a pleasure!!! 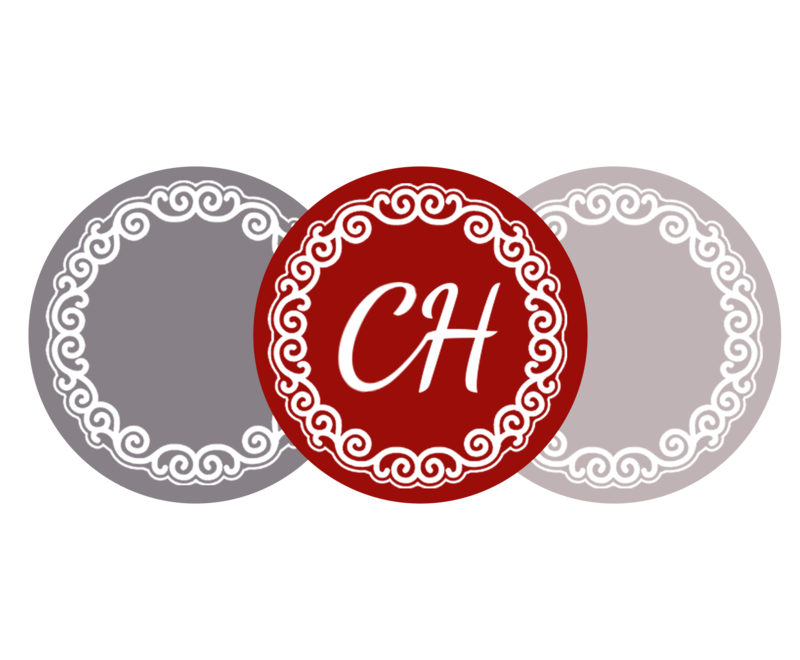 Christine's class on Canva use for Facebook was amazing!! I learned so much that will be applied to my business page. Her energy and excitement is contagious and lends towards a fantastic learning experience. I highly recommend Christine's classes. I will continue to take them to continue to improve my skills. Thank you Christine for a fabulous training this morning! Your "Optimizing your Facebook business page" was incredibly informative and helpful. Your teaching style is wonderful, helpful and so very patient. Cannot wait to implement all I have learned and to take more classes from you! I have had the opportunity to learn from Christine Hull at her workshop on social media presence. She not only has a sound knowledge of all the material but gives you hands on and specific guidance to help you with your business or field of work. I have seen very few people who have the passion to help and support people which Christine Hull has. Not only have I benefited from her training but also found in her a great mentor, guide and cheerleader. Highly recommend others to attend her training and workshops. You will leave the sessions learning new tools, techniques and lots of confidence to continue your journey to success. Wishing her all the very best! Christine is an amazing instructor as well as a beautiful person.She is very enthusiastic with a fountain of knowledge.She explains things extremelly well.I would recommend her to anyone that needs to learn more about social media in any platform for their business!!! Excellent course instruction and personally taught. I highly recommend Christine's courses. Christine is an amazing teacher she knows what she teaches and makes sure we understand and follows up I would highly recommend everyone to take the training that Christin teaches you will glad you did. "Feeling Empowered" I'm so glad I attended two back-to-back training sessions (Canva 101 and FB Business Pages) with Christine. It was a great hands-on learning experience and has given me the confidence to try new things. The sessions were empowering, informative, well organized and provided me with new tools that I could use in my business. I have known Christine for several years and she is awesome! She is caring, enthusiastic, knowledgeable, patient and motivating. I highly recommend Christine's services and look forward to taking more training classes with her. What an amazing Canva session today, I learned so much. Your teaching style is so thorough and informative. You have left me feeling confident that I can do this! I have attended a few of Christine Hull's training courses this year. With each one, I have come away having learned a tremendous amount. She is very inspiring with her energy and positivity, and her training is fun and engaging while still being very informative! Sign up for one of her courses, you will not be disappointed. Had a fabulous educational time with Christine. She is an amazing interactive trainer in social media. Thank you Christine. Christine is very passionate about helping others succeed. I've always been impressed by her drive and commitment. 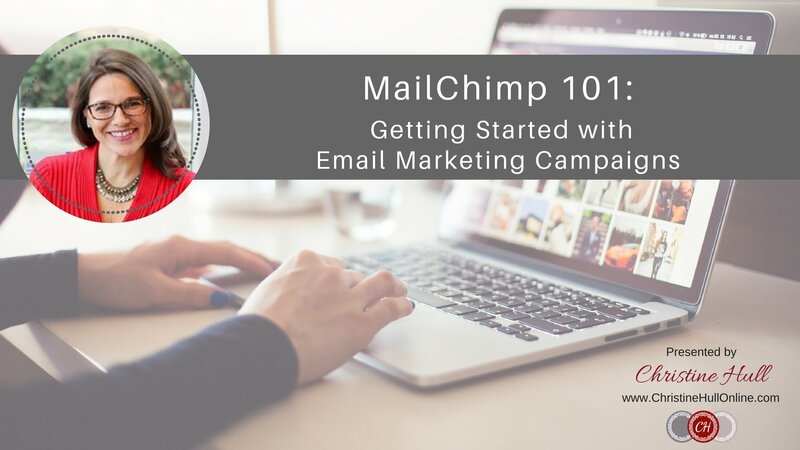 If you are looking for help with your small business to learn how to promote your business online I highly recommend you connect with Christine. I've know Christine for a long time. She has an amazing outlook on life, is willing to tackle any obstacle (and does!) and is a tremendously focused/committed individual. The ability to make things seem simple is another one of her traits making her a powerful trainer/mentor. She has many talents and I would recommend Christine to anyone looking to grow their business. Really time and money well-spent. Christine brings not only enthusiasm but great depth of knowledge about the techical aspects of running a business. She is very patience, explains things clearly and offers lots of great tips. I recommend her services for anyone who is wearing too many hats in their own business, and needs professional training help to simplify and amplify their marketing and networking. Christine is an amazing beautiful lady who has helped me in more ways i can say! I loved the facebook workshop so much I attended it twice, and her personal one on one sessions have inspired me and taught me so much more about social media and the business side of of it all.! Ive found a wonderful personal coach! Big Thanks to Christine Hull. I truly appreciate Christine's entreprenual spirit! She has inspired me to step up my Social Media game in my own business, and set myself up for a successful week. She has awesome insight into the business world and has shared a unique perspective, that is quite different than my own, which has challenged me to grow as a business owner. So thankful for the Facebook Training Course I just finished with you Christine Hull! I learned so much and I now have a concrete list of things to work on. You have so much knowledge that you teach with passion. I am not done going over the material you provided and the notes I took. I recommend joining Christine in one of her classes... I know I will! I feel compelled to provide some feedback on Christine! First off, her Banner says it all: "To be inpired is great. To inspire is incredible." I have been working with this amazing entrepreneur for almost 4 years now. Her passion, optimism, upbeat, positive attitude and vibe speak volumes! Christine is just one of those people who you want to surround yourself with. Her approach to everything she does is inspiring and motivating. She doesn't just "talk about it", she executes, she's not afraid to take risks, she's not afraid to fail. I read a quote in the AirCanada EnRoute magazine by Ray Reddy, a young Toronto entrepreneur, on my flight to Calgary yesterday. He said "When you're young, you define success as the avoidance of failure, now I see it as a necessary element to success". Christine has always said, "Don't be afraid to fail". I highly recommend Christine for any of your creative, social media, administrative, organizational, technical requirements. She will not let you down, I promise!!! Yes we can do the things for you – but Christine believes in empowering you to be able to manage your social media. Check out and follow us on Instagram!